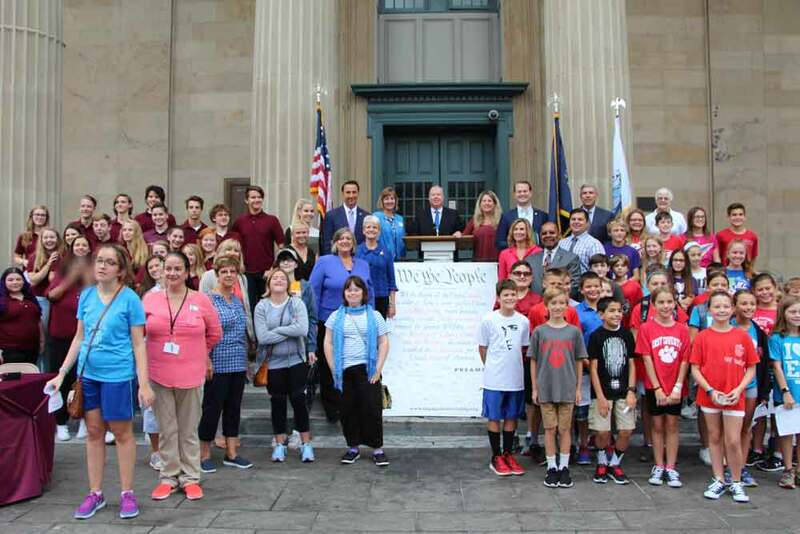 : Legislators, dignitaries and students gather to celebrate the 230th anniversary of the signing of the United States Constitution. WEST CHESTER — On September 17, 1787, eleven years after the Declaration of Independence was signed, 39 delegates came together to sign the United States Constitution. 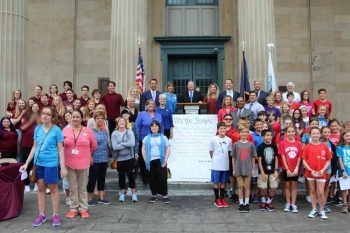 On September 18, 2017, more than 50 students came together to commemoratively sign it again at the Chester County Constitution Day Celebration on the steps of the historic West Chester courthouse. In recent years, there has been an effort to increase awareness of the importance of the signing in our nation’s history. 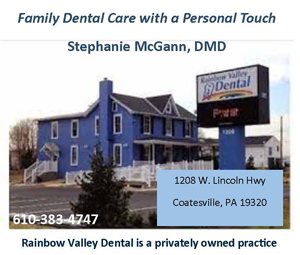 To support this effort, Engaged Citizenship Executive Director David Woods collaborated with the Chester County Intermediate Unit to host the event. Students from East Coventry and East Vincent Elementary Schools, the Henderson High School Chamber Choir, the PA-771 Air Force JROTC from Coatesville Area Senior High School, Chester County Student Forum and local and state legislators gathered as a community to celebrate the formation and signing of the Constitution, securing the rights and freedoms of all citizens. The day kicked off with a presentation of colors from the PA-771 Air Force JROTC from Coatesville Area Senior High School and a performance of the Star-Spangled Banner by the Henderson High School Chamber Choir. The Honorable Eric Roe lead the audience in the Pledge of Allegiance and the reciting of the Preamble of the Constitution. Next, United States Congressman Ryan Costello, Representative Harry Lewis, Jr., Representative Carolyn Comitta and Commissioners Kathi Cozzone and Michelle Kichline shared their visions of America and hopes for the future. “Each year as we celebrate Constitution Day, we reflect on the charted course for our country’s future.” The event concluded in a reenactment of John Jay and Elbridge Gerry’s 1787 discussion about whether or not to sign the Constitution, presented by Student Forum officers Jessica Dauphinais and Victoria Wright of Phoenixville Area High School.